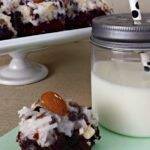 Almond Joy Brownie Bites are a semi-homemade recipe that will wow your guests. 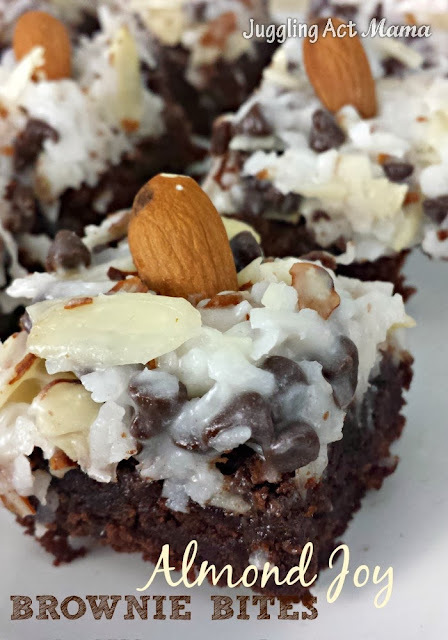 Store-bought brownie mix gets dressed up with a scrumptious coconut, chocolate and almond topping everyone will love! 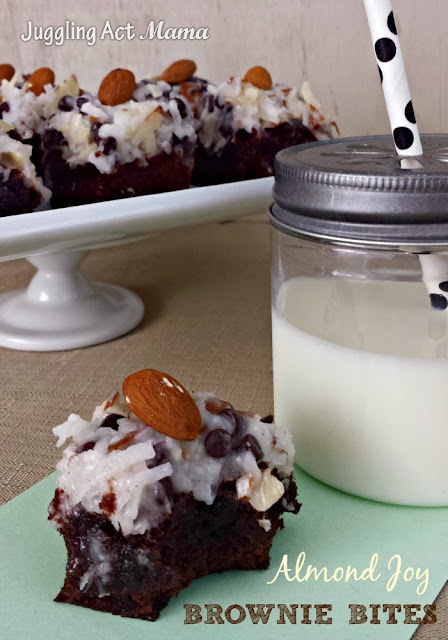 The other day I was playing around in the kitchen with a box of brownie mix and dreaming of coconut when it occurred to me that brownies with coconut and almond would be an amazing homage to an Almond Joy bar… truth be told, it’s even better than the candy bar! Before you go to the store, make sure these items are on your list. 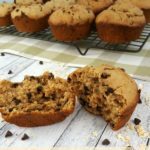 What is the Difference Between Brownies & Brownie Bites? Honestly, my recipe is brownie bites because of the size I cut them in. You can make these in larger pieces. Another you could do is to make them inside individual ramekins or mini cast iron skillets for personal little brownie cups. This is a perfect base recipe that can be used many different ways. 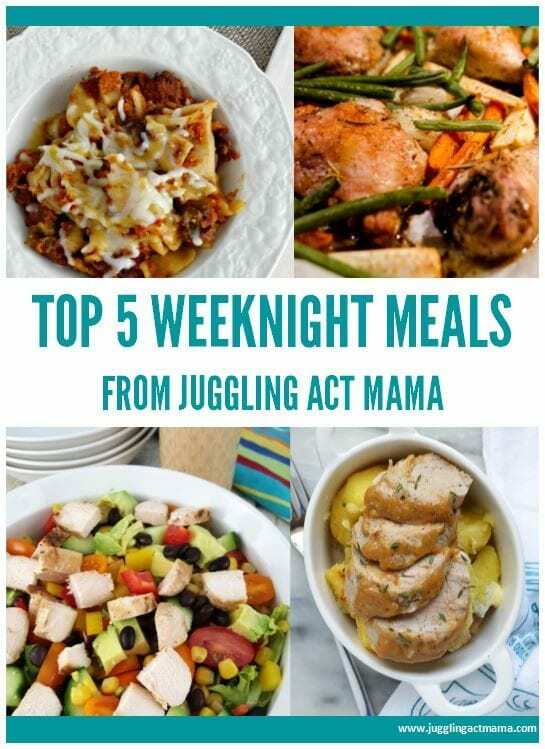 If you make them, please tag #JugglingActMama so I can see them too! 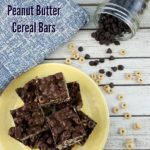 Here’s how to make these scrumptious dessert bites! Be careful – they are so addicting! These are super fun to make with your kids, too. So pin the recipe for later – you’ll want to make these again and again! Allow the brownies to cool completely. Once cool, refrigerate the brownies while you prepare the topping. These are the perfect game day dessert! If you make them bite size, they can feed a crowd. So take them to parties, cookouts, or other group parties. However, since these have almonds and coconut, please be careful when trying to take them to a public school. The nuts could cause reactions for those with allergies. If you or someone you know has an almond allergy, these can taste just as amazing without the almonds. There really isn’t an allergy-friendly replacement for almonds for this recipe. But if you just omit them altogether, the brownie bites turn into more of a German chocolate brownie bite and they are still incredible! And don’t worry about the name “coconut.” Coconuts are not in the same family as tree nuts. So if someone has a tree nut allergy (like peanuts, almonds, etc) it is very likely that they can safely eat coconut. It’s always best to ask first, though! Even Mr. Juggling Act – who doesn’t care for sweetened coconut – admits these are pretty darn good. Make a batch and tell me what you think! I love comments! 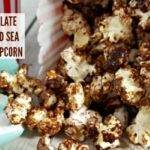 Here are some more dessert recipes for you and your family! WOW! I love Almond Joy (and Mounds) but never thought to make brownies like that! Thanks for the recipe! These look amazing! 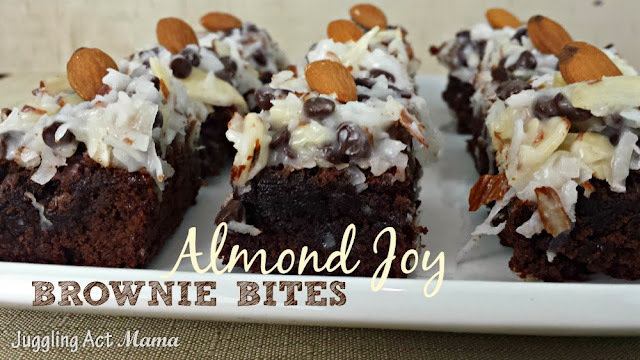 I love almond joy bars, but they sound even better as brownies. 🙂 Hope you’re having a great weekend! Ummm, these look MIND BLOWINGLY delicious. I have pinned and shared! Can’t wait to try them! I’m so glad you stopped by Blair! These really are amazingly delicious! Thanks so much for taking the time to comment! I love almond joys! I bet I would love them even more in brownie form! So glad I found your site. I am pinning this and making them for my daughters birthday – thanks so much for linking it up to The Friday Frenzy – see you again on Friday! Thanks for the pin, Danielle! I hope your daughter loves them! Oh my gosh – this looks amazing. Pinned! Almond Joy is one of my favorite candy bar – these brownies look absolutely amazing! Can’t wait to try them!